Are you hosting an event and need an experienced team to help make it a success? With extensive industry knowledge and a skilled crew, read on to find out how the team from Ocean Butterflies Music can help you captivate an audience with the best possible live experience. 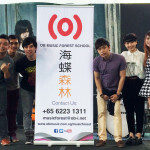 Over the years, OB Music has successfully produced several impressive and well-qualified shows as organisers for JJ Lin, A-Do and Kit Chan Concert World Tours, Singapore Hit Awards (1994, 1995, 1999, 2000), Xin Yao Festival (1985-1990, 2003 & 2005), Shanghai World Expo Singapore Day Concert (2010), Ocean Butterflies Music 25th Anniversary Concert (2011) and many more. 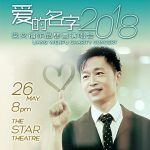 In April this year, OB Music produced Liang Wenfu Concert, which holds a breaking record of all 5,000 tickets sold out in 6 hours. As professional concert organisers in Singapore, OB Music has always set high standards and ensures that the best visual and audio qualities are delivered to the audience. OB Music has an experienced team of concert organisers to conceptualise and plan the ideal occasion that meets and exceeds expectations whatever your needs may be. We have completed various well-received events for our clients such as PAssionArts, Food Republic and National Library Board for the past years. To find out more about the event management services we offer in Singapore, click the button below to view our contact details. Get in touch and one of our enthusiastic staff members will answer all your enquiries ASAP.